We found this on Kotaku. 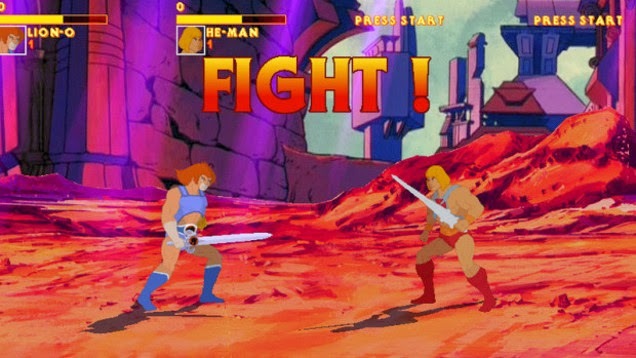 There have been games based on HE-MAN before but there has not been one for a while. Most of the newer ones don’t have the look and feel of the cartoon from the 1980’s that many of us lifelong gamers have grown up with. Now apparently someone has made an arcade style beat ‘em up game and given it a 1983 HE-MAN art style. According to Kotaku a group of fans made this game and it looks like so much fun and yes the spin off SHE-RA and her foes are here too. This is one of the videos we found on youtube showing the game. If you want to know more and even play the demo click here to go to Kotaku and follow the instructions.